The fall season has finally arrived. 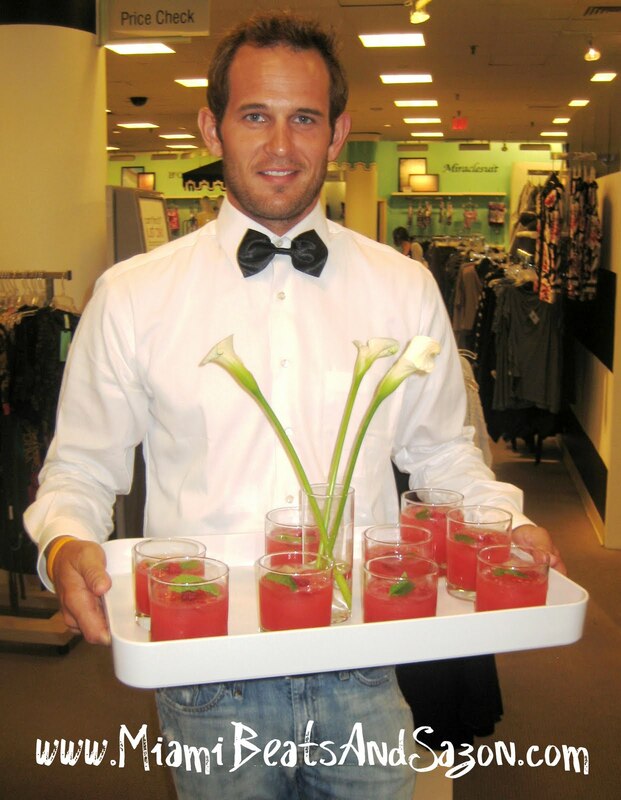 In every city, Fashionistas are reinventing their wardrobes and preparing for cooler weather! To heighten our shopping spirit, Fashion Designer Rachel Roy stopped by Miami today to make a special appearance at Macy's in Dadeland Mall. 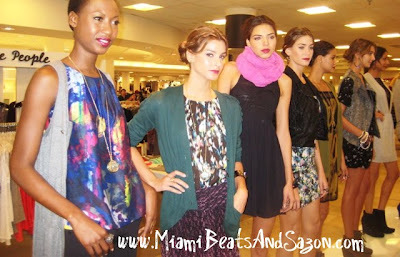 Shoppers had the opportunity to meet Rachel Roy as she introduced her new Fall 2010 Collection. During the event, Rachel was accompanied by her daughter, Ava (pictured above). Ladies, this collection exudes glamour and youthfulness. By combining dresses with vests or jackets, you can totally go from casual to glam in minutes. I loved the bright colors and the unique patterns which are Rachel's trademarks. If you decide to stroll through the collection this weekend, remember that Rachel's line retails from $29 to $299 (including sportswear, footwear, jewelry and handbags). Feeling lucky? Enter a contest to win a $1000 wardrobe from the RACHEL Rachel Roy collection (exclusively styled by Rachel Roy for the winner). GOOD LUCK!!! Top: My fellow blogger, Jewel, taking a picture of Rachel Roy during the event at Macy's. Check out Jewel's blog: Jewel's Fab Life! 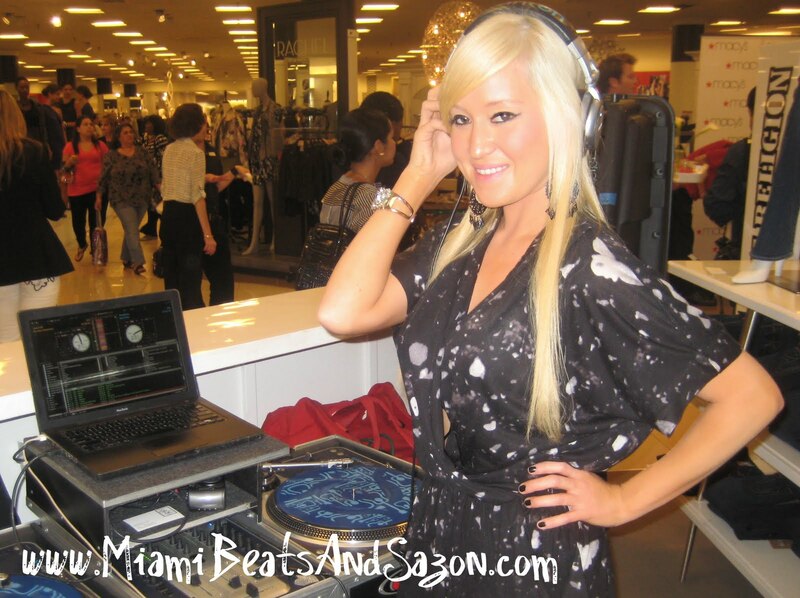 Top: Catarina Hodel (aka DJ Blondie) kept the party going with her catchy beats. You can't have an event in Miami without a little sazon! For more information on Rachel Roy, visit www.RachelRoy.com or check out her collection on www.Macys.com.